His Little Red Head chapters in diffrent POV's, oneshots of Kimmi's flashbacks, and missing moments. Chapters written only by request. Series: Hey, Move The Damn Spotlight! Alec has a short encounter that changes his life forever, irrevocably and unconditionally. Bella tries to make Renesmee's first Christmas perfect, but sometimes things don't always go as planned. Renesmee is fully matured and finishing her senior year at Forks High School, while her family is busily preparing for Alaska. Renesmee is still clinging to the hope that Jacob, who left just after her second birthday, will come back to her. She fears that if she leaves Forks with her family her memories, and even Jacob himself, will all but vanish. Some drama happens a little later on. 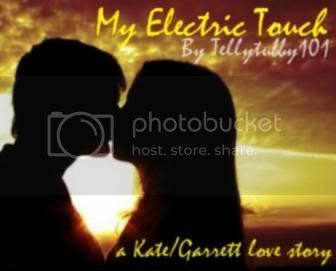 Kate struggles to finally accept what Garrett really means to her. She's not sure if her heart could take another load - it had been through so much. My submission for the “When Love Was New Contest”. "We have tomorrow, and the next day, and the next..."
Rosalie learns the fate of her parents' estate & decides to visit her childhood home. To her displeasure, Bella follows. Bella learns about Rose's past, but what does Rose take back from this journey? My one-shot attempt to understand what makes Roselie 'tick' and winner of the RosaBella challenge. Life is nearly perfect for Renesmee. Five years after her birth, she's living the life of a typical teenager - well, as typical as the Cullens get. But someone knows the family's secrets and wants something in exchange for silence...or else. LLO features canon pairings and LOTS of Nessie and Jacob. TWILIGHT and associated elements are property of Stephenie Meyer. All rights reserved. No copyright infringement is intended. Just worshipful admiration. *THANKS to annamorphos for the rockin' banner! Jasper is in the wrong place at the wrong time. He's not to blame, but what he finds will lead him across continents and two thousand years. What will he find and what do the Volturi have to do with everything? I wasn’t so mad anymore; I could have just let it go but I wouldn’t. “Why should I always be the one to forgive and forget, Edward?” Saying my father’s name and not his pet names was low -- it was something he knew I did out of spite. All he had to do was read my mind. The story picks up just months before Renesmee is to turn seven. Frustrated with a life of constant hiding, she delights at the few moments she gets with Jacob. Going hunting and out to a movie may not be much but it seems to be the most excitement she sees. That is until she starts to sense that someone is watching her. Rated R for language, sexual and violent material in future chapters. What if you lost your heart's perfect match? Edward knows someone who is living his worst nightmare, who has vowed that Edward and Bella will never suffer that heartache, even if the Volturi may be the source of that threat. Why was marriage so important to Edward? He told Bella, “A hundred years from now, when you’ve gained enough perspective to really appreciate the answer, I will explain it to you.” Now the time has come! 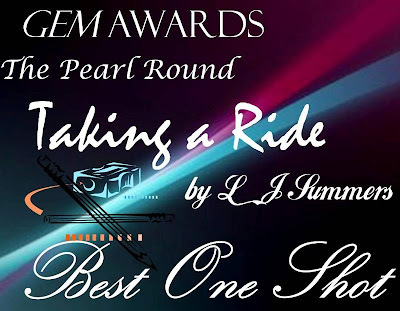 Taking Second Place in the One-Shot category at the Wolfpack Awards, Taking a Ride is a Quil & Claire moment. AU -- What if Bella hadn't survived Renesmee's birth? My take on where twilight should have gone after breaking dawn. 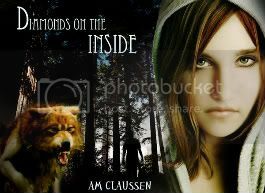 Renesme has a special purpose that no-one has considered, First though she must discover who she is. Bella and Edward have been given forever together. And the additional gift of a child. But are yet to enjoy either. Surely the Volturi wouldnt give up that easy..
Renesmee and Jacob have just married, and Edward and Bella are free to enroll in yet another university, where they plan to follow a course of classical studies. Suddenly Edward leaves, and Bella is confused and totally alone. However, she is sure of his love and fears that something terrible might have occurred. It has. Indeed, something happened when Carlisle was in Rome in the 17th century, and now all the Cullens have to pay for it. A Latin myth opens for Bella the road that might allow for her to rescue them. Big thanks to Lion in the Land for valdating my chapters so quickly! Edward and Bella finally got what they always wanted: to spend eternity together. Now, their relationship is free to thrive and flourish. A very canon, very in-character, very romantic exploration of the depth of E&B's relationship as they adjust to their new life-- both Bella's new life as a vampire and Edward's as a husband. Lots of light, fluffy moments balanced by more serious ones. It's just E&B in the first several chapters, but the rest of the Cullens show up later. 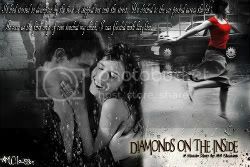 The time frame is set during the summer following BD up to Edward and Bella's second wedding anniversary. If you like canon and in-character, please have a read.